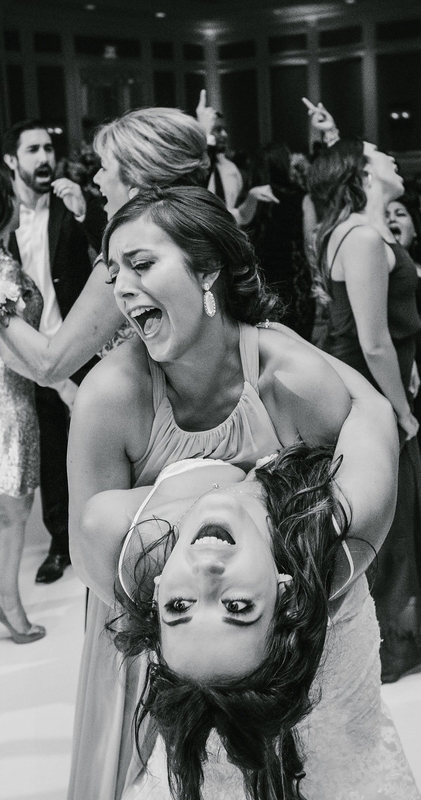 Chris and Kayla’s wedding was such a celebration! As Hurricane Harvey caused our wedding the week before to get rescheduled, we were probably all itching a bit to get back to playing. This was evident by the amount of partying we did with everyone on the dance floor! 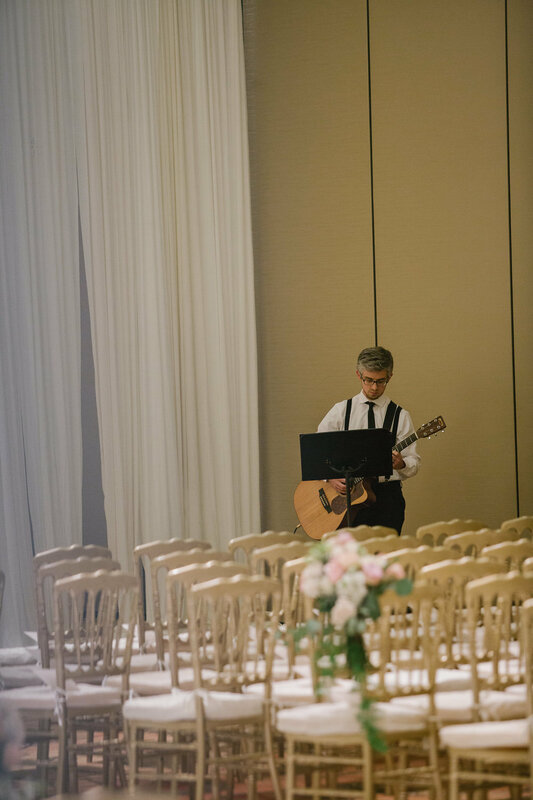 We handled all aspects of this wedding with Josh on acoustic guitar for the ceremony, Danny playing the cocktail hour in the foyer, and the full 10-piece band for the reception. 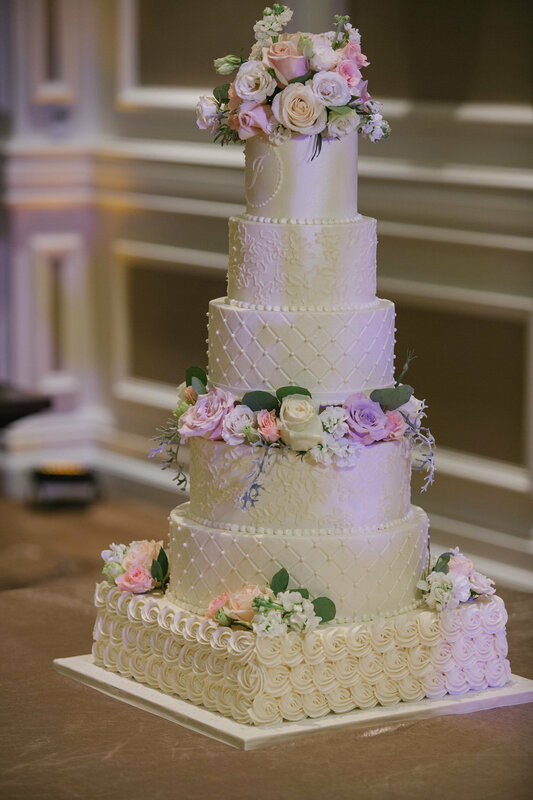 One of our favorite things about weddings is how we can incorporate into other cultures and traditions as a part of the celebration. 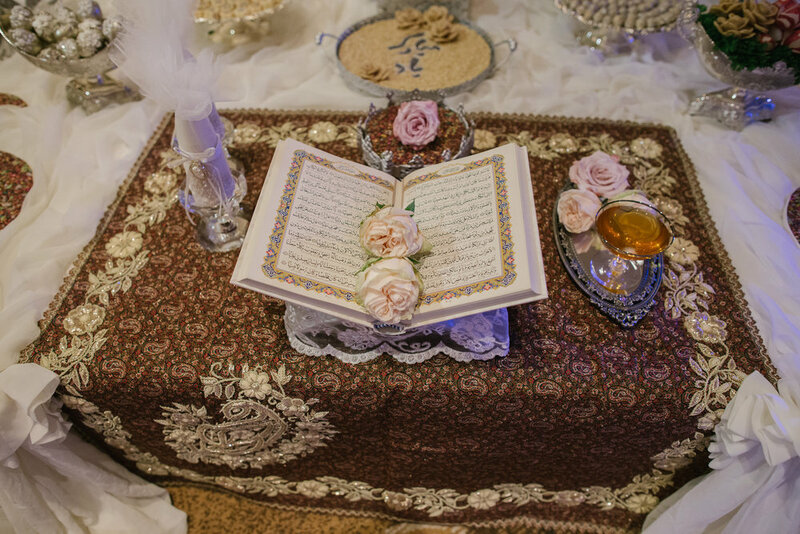 Before the reception began in the ballroom, there was a traditional Persian ceremony at the Sofreh table. At any breaks during the reception, sound engineer/DJ Aaron (who we lovingly refer to as DJ A-Aron) DJ’ed some Persian dance tunes. Once the dinner was complete, they were ready to party! It was a wide-ranging set with a little country, Motown, and some top 40 and hip-hop bangers. But the highlights were definitely the 80s and 90s rock sing-a-longs, the biggest of which was ending the night with the groom serenading his new bride to Billy Idol’s “Rebel Yell” while a few band members jammed along on stage (something he had done at karaoke on one of their first dates … baller move).